Wellington activities to beat the boredom! How can you possibly get bored in Wellington? 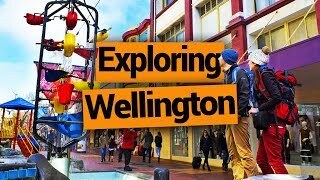 With so many sights, ways to see the city, natural places to escape the city, awesome places to eat and more, Wellington is a city packed with amazing things to do. 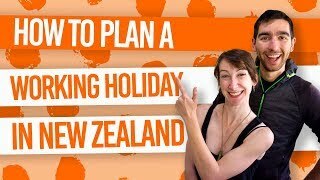 Whatever your budget, whatever type of activities you are into, whatever your age, you’re bound to find some fun things to do in Wellington. We’ll help you out by list the top 20 activities in this list! The capital city of New Zealand is not just a political hub, it’s also the capital of coffee, movies, culture, craft beer and much more. Sample some of the local delicacies in between exploring the surrounding hills and gardens. Grab a few mates and head down to the local cinema/bowling alley or fuel your hobbies and passions with amazing mountain biking trails, bookstores, art galleries and more! New Zealand is home to a fascinating array of birds and reptiles. Zealandia, easy accessible from Wellington city centre, is the perfect place to learn more about the unique ecosystem on New Zealand with a museum and walkways around this protected wildlife sanctuary. You’re bound to see a heap of amazing birds such as the takahe, kaka, tui, North Island robin and much more! For more wildlife activities, see 6 Spots to Experience Wellington Wildlife. Location: 53 Waiapu Road, Karori. Free shuttle services operate from the Wellington i-SITE. 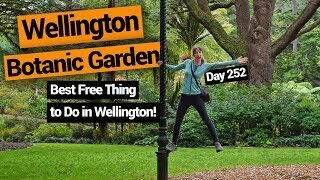 One of the best FREE things to do in Wellington is check out the bush walks, gardens, tree house, duck pond and free summer gigs at the Wellington Botanic Garden. When you’re wandering through the native bush or gardens of this park, you’ll never believe you are still in the middle of Wellington! For more free activities, see 22 Free or Cheap Things to do in Wellington. Location: Entrances off Salamanca Road, Glen Road, Upland Road (Cable Car), Mariri Road and Glenmore Street. Wellington is home to great deal of awesome walks accessible from the city centre. One of the most popular is the walk up Mt Victoria thanks to its sensational panoramic views! A walk up to the top from Oriental Bay or from Majoribanks Street will only take you about 20 minutes. However, to make a day of it, link up with the Southern Walkway for more views of the city! Get more information in our 10 Best Walks in Wellington. Wellington is the hub of the movie industry in New Zealand, (and yes, New Zealand has a movie industry). From the filming locations on Mt Victoria used in The Lord of the Rings, to the suburb of Miramar packed with movie studios, you can spend all day finding all the noteworthy film attractions. Check out 15 Best Film Locations in Wellington for Movie Buffs to organise your own self-guided tour. They don’t call Wellington the “Coffee Capital” for nothing! New Zealand’s coffee culture is alive in Wellington with so many amazing cafes to try! It’s unlikely that you’ll find a “bad” coffee in Wellington, but if you need inspiration, try the 5 Cool Cafes With the Best Coffee in Wellington. The historic Wellington Cable Car is a cheap and cheerful thing to do in Wellington! Ride the bright red Cable Car from Lambton Quay all the way up to the Botanic Gardens. At the top of the Cable Car is the free Cable Car Museum within the old wheel house. 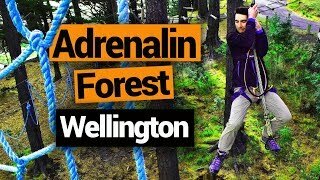 This high wire obstacle course provides hours of fun just outside of Wellington city! There are seven courses which get higher and more challenging, starting from 1m off the ground to 31m! By taking a good few hours to complete, it’s great value for money at around NZ$45 per person. Take the bus, train or drive to Adrenalin Forest just outside of Porirua. Location: Okowai Rd, Aotea, Porirua. Hire a kayak or stand-up paddle board (SUP) from Fergs Kayaks on the waterfront and see Wellington from a whole new perspective. Either freedom hire or take a guided tour to see the highlights of the Wellington Waterfront and practice your paddling skills! Kayak hire is also available at Days Bay, Lower Hutt at The Boatshed. Location: Queens Wharf, Jervois Quay and Days Bay, Lower Hutt. 9. Grab some great food! It comes as no surprise that Wellington has some of the finest food in the country. For street food, try the fish & chips from the Wellington Trawling Market on Cuba Street or the Capital Market off Willis Street. For a cheap eats, head to Chummeez Cafe on Lambton Quay. For treat-yourself New Zealand traditional food, try the Bluff oysters at the Dockside restaurant. Get more suggestions in our Cheap Eats in Wellington article. Somes Island or “Matiu” has a fascinating history from being an early Maori settlement to a prisoner-of-war camp to a quarantine station. Today, the island is rodent-free so the bird life here is as colourful as the island’s history. Spend at least 2-3 hours exploring the island before getting the ferry back to Queens Wharf in the city centre of Wellington. Guided walks on the island are available too. It’s amazing how many mountain bike trails and scenic bike trails you can access from Wellington city centre alone! However, there are plenty of awesome bike trails further afield, where you can take your bike on the train. Location: Take a look at our guide to Mountain Biking in Wellington for information on most of the bike trails in the region. If the weather’s not playing ball or you just want to soak in the Wellington movie scene, head to one of the many awesome neighbourhood cinemas, like The Empire in Island Bay, The Penthouse in Brooklyn, The Lighthouse in Petone or Roxy Cinema in Miramar. Whether you’re a bookworm or just want to pick up some good reads for the road, don’t miss Wellington’s amazing selection of bookshops. Wander the labyrinth-like rooms of Pegasus at the Cuba Mall or buy some cheap reads at Arty Bees Bookshop on Manners Street. Location: Get a full list of bookshops and their locations over at 10 Wonderful Wellington Bookshops for Bookworms. This is New Zealand’s only public garden solely dedicated to New Zealand plants and trees. It’s a great place to learn about the fascinating vegetation of New Zealand, as well as getting a little closer to nature. Location: Wilton Road, Wilton. Take the Number 14 Wilton Bus from Lambton Quay. New Zealand, and Wellington in particular, is crazy about making home brews! Try some of the country’s leading craft beer in the Wellington craft beer bars and breweries around the city! Location: See 14 Breweries & Craft Beer Bars in Wellington for recommendations and locations. Get a little closer to the stars through Space Place’s historic Thomas Cooke telescope, planetarium and more! Learn about the stars, galaxies and planets seen from the Southern Hemisphere through interactive exhibitions and displays, as well as the planetarium shows. On clear nights, you can look through the giant telescope. Space Place is open Tuesdays, Fridays and weekends, and all week during school holidays. Location: 40 Salamanca Rd, Kelburn (Wellington Botanic Garden). New Zealand’s national museum provides hours of entertainment through interactive exhibitions and displays. Learn about many different aspects of life in New Zealand, as well as the social and natural history of this country. For more reasons to visit, see 10 Reasons Why The Te Papa Museum is Simply Unmissable. Wellington is more than just the city centre, so take the bus, hop on the train or hit the road to one of the amazing surrounding regions. Head to the Hutt Valley for great bike trails and walks along the Hutt River. Go to the Kapiti Coast for over 40km of beaches! Or head on over to the Wairarapa region known for vineyards and wineries. Wellington has good amount of beaches to feel the sand between your toes, go for a swim or even surf! Oriental Bay is a beach just a short walk from the city. Lyall Bay is great surf spot and place for “long walks on the beach”. Scorching Bay is a good spot for a picnic! Location: Find out more about the beaches you can visit in 10 Beaches in Wellington You Can’t Miss. Although you might find bowling in any old city, it is a great thing to do on an evening when the weather is not that great or you just want to have a good old time with your mates. The Lanes bowling and bar is right in the city centre and make for an affordable night.